Only one available in this rare organic laminated cotton fabric. 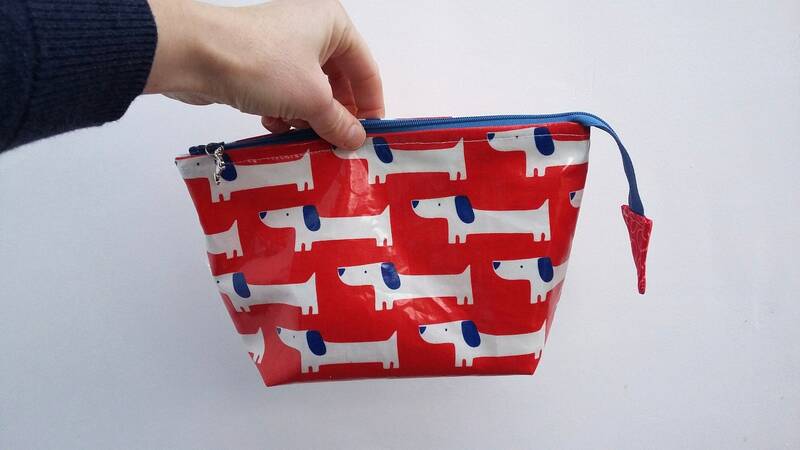 A wipe clean medium sized wash bag in white and blue sausage dogs on a bright red background - a fun print for boys and girls! 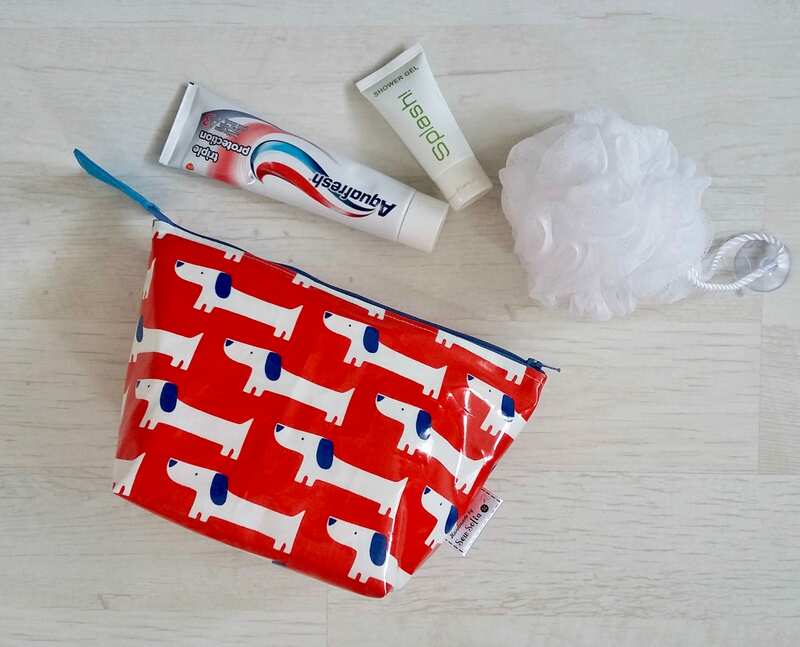 This zipped bag can fit a standard sized toothbrush, washcloth, small brush, small containers or bottles. 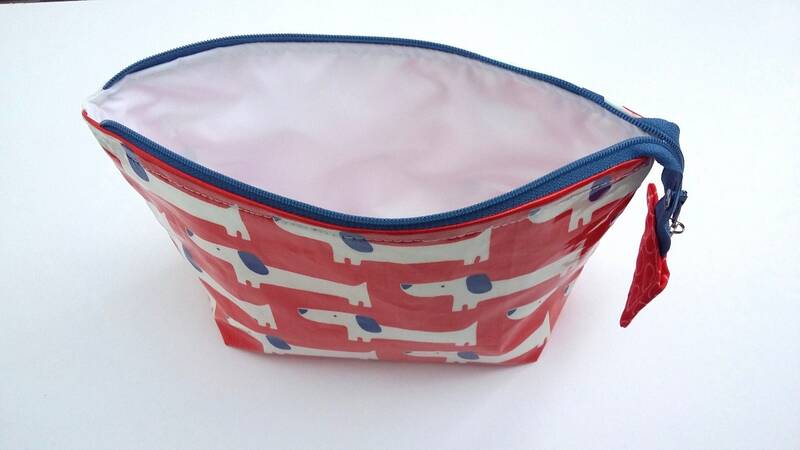 Perfect for taking on holidays or overnight trips, shower kit for the swimming pool or even for storing little toys, hair accessories or colouring pens! 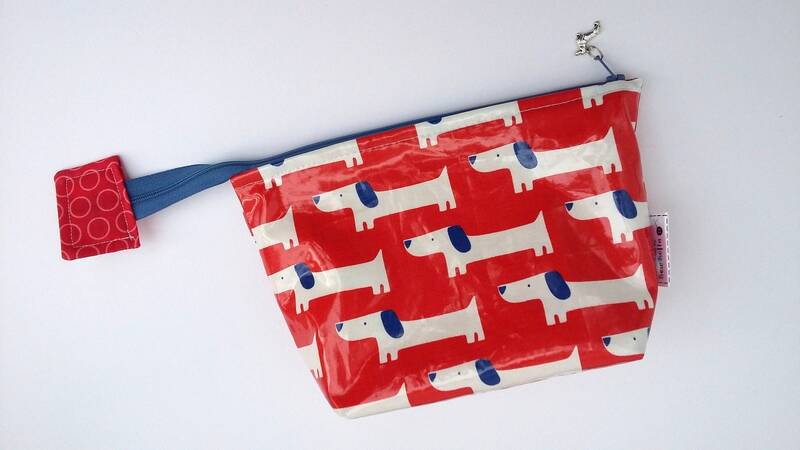 In this cute laminated cotton "Rover" print, lined in a white water resistant fabric and with a blue YKK zip and red zip tab. 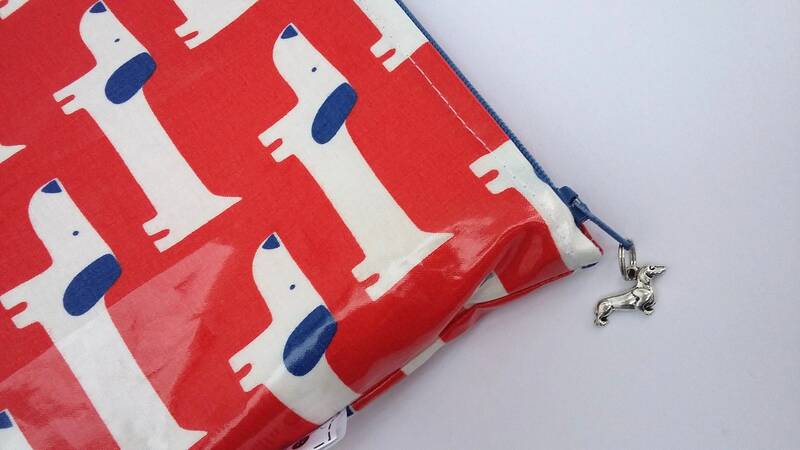 There is a cute detachable sausage dog charm on the zip pull. 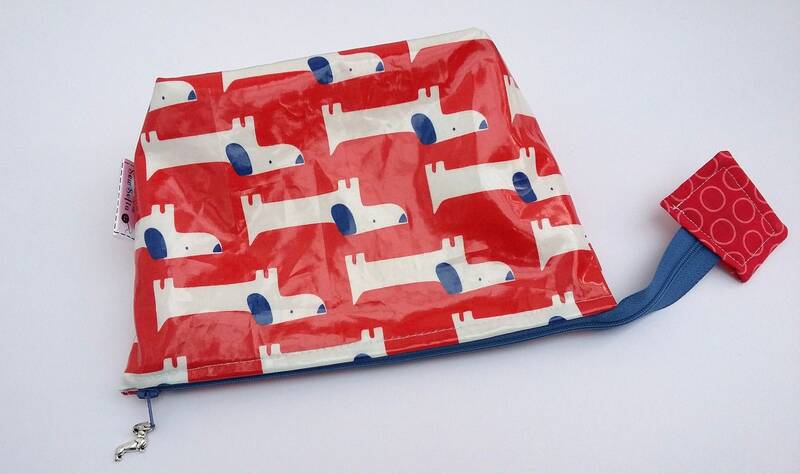 Approximate measurements: 6″ H x 9″ W x 3″ D (17cm x 23cm x 8cm). One in stock, ready to post in 1-3 business days. 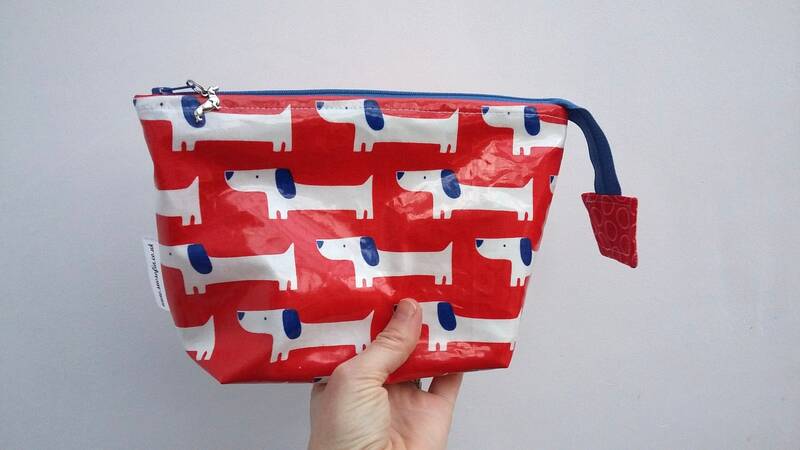 The wash bag will be parcelled flat to save you on shipping fees. 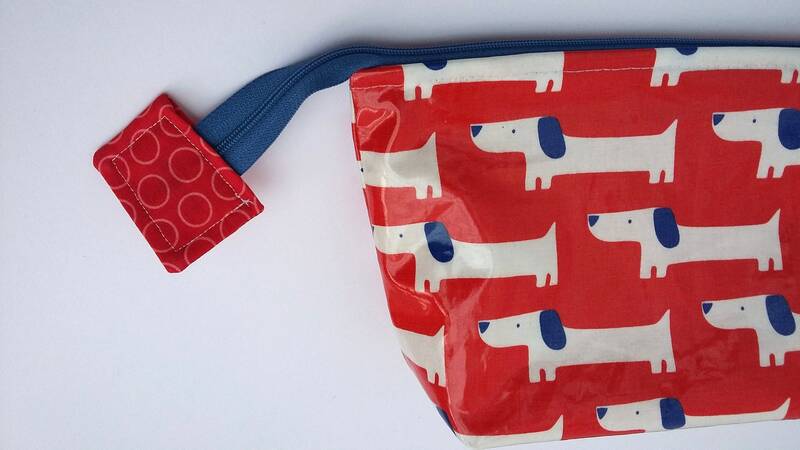 UK shipping is by 1st class post with proof of postage. International shipping is by standard post with proof of postage.